The state of Queensland in Australia has started its long journey on the road to recovery since suffering from the worst flooding in over a century. At the peak of the flooding ¾ of the state was inundated with water with 70 towns and more than 200,000 people affected. Whilst the immediate threat of flood has subsided for Queensland, parts of New South Wales and Victoria are still under threat. USANA’s thoughts are with flood victims and their families of this devastating natural disaster and the community who are only starting to realise the emotional and financial cost of it. USANA Australia employees recently held a fundraising morning tea with corporate matching dollar-dollar the contribution of its staff. Funds raised will go straight to the Queensland floods Disaster Relief Fund. Gill Stapleton, General Manager says ‘Our thoughts are with everyone affected and we hope our contribution will make a difference’. 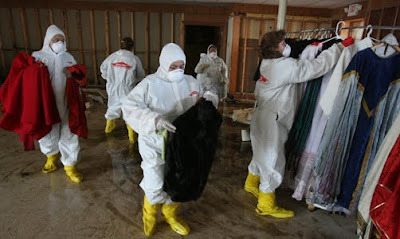 Flood waters carry mud and the potential presence of human and animal waste, pathogens including bacteria and viruses, moulds, oils and pesticides, even heavy metals and industrial waste. Therefore, try to stay out of flood waters, or wear long boots and waders. Also, make sure to wear appropriate protective clothing to protect you from scratches and injuries during the cleanup work. 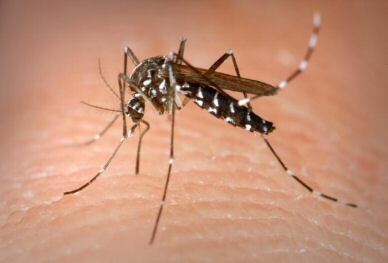 With pools of stagnant water in warm conditions, there’s the great possibility of mosquito borne diseases, such as Ross River fever. Try to get rid of stagnant water around your home. If you have a water tank that has had floodwater in it the tank should be emptied and cleaned. Empty any containers, tarps and even the dog’s bowl as they might hold water and become a breeding ground for mossies. The emotional toll of those affected by the floods can manifest in many ways. Take care of each other and don’t be afraid to seek help. Your local GP is a good place to start. The support shown from Australians and around the world has been truly heart warming. Donations can still be made online and through many local suppliers. If you have advice or photos that you would like to share with us, please leave your comments and photos on our Facebook. Make a donation to the Premier's Disaster Relief Appeal using a secure payment form.